Social media has become a fundamental part of our lives. Many of us stay connected with friends, family, classmates, co-workers, businesses/organizations and others through different social media sites such as Facebook, Twitter, Instagram and many other social networks. 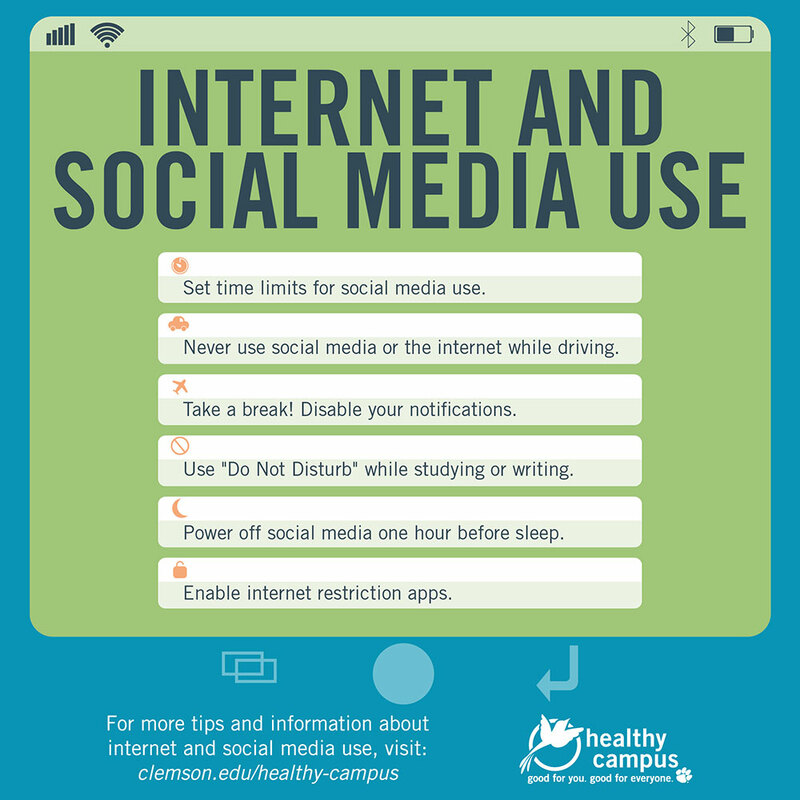 While being engaged and active online is a great thing, it’s important to keep in mind the following tips and information. Ask yourself, "Would I want my future employer to see this?" Microsoft released a study in December 2009 that asked employers how they use social media to review job applicants. Below are highlights of their findings. What types of sites are they using? How do social media “mistakes” impact getting hired or fired? It is important to remember that you can be fired for things you have said and done online. Unless you as an employee have a contract with your employer stating otherwise, your employer can fire you based on your online behavior. There are many ways that social media can enhance people’s lives and have positive benefits. When social media becomes excessive, these positive benefits are replaced by negative effects. 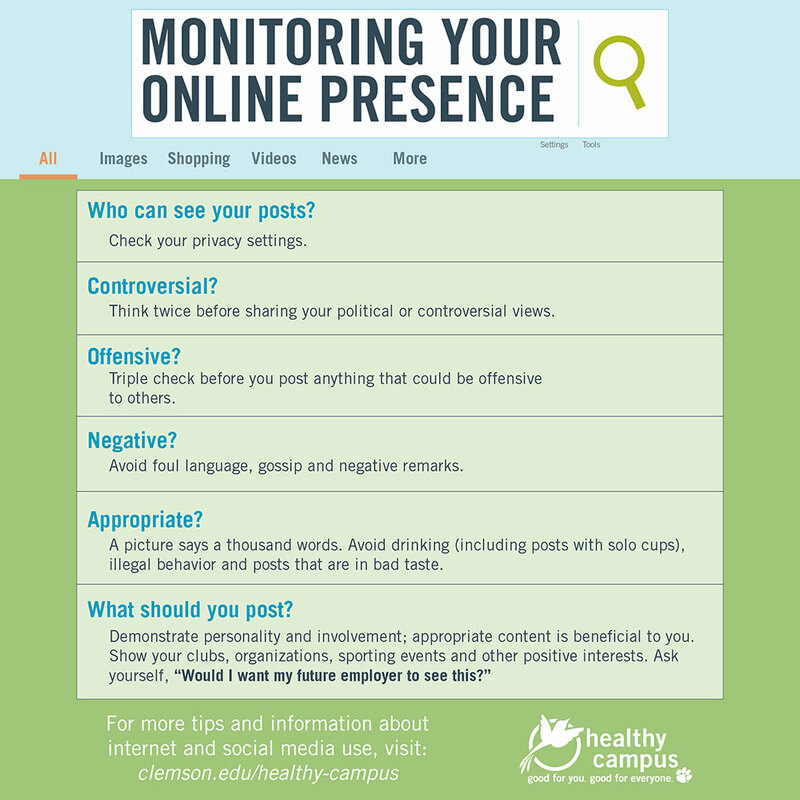 When users log onto social media sites, they are immediately and continuously shown a stream of status updates, photo-shopped and filtered photos, liking of posts, etc. These updates, likes and perfect pictures are stimuli that users socially compare to their actual lives that are more than the ideal, presented version of other users’ lives. A 2011 study found that people underestimate others’ negative emotions, often leading to emotional pluralistic ignorance (not recognizing peers’ internal struggle). What happens is that people on social media portray themselves as being happier than they really are which increases feelings of loneliness and isolation. Mai-Ly N. Steers, Robert E. Wickham, and Linda K. Acitelli (2014). Seeing Everyone Else's Highlight Reels: How Facebook Usage is Linked to Depressive Symptoms. Journal of Social and Clinical Psychology: Vol. 33, No. 8, pp. 701-731.